I worked in a lovely, small nursing home for 12 1/2 years. For many years, I loved it. I had my own staff and could create programming however I wanted. It was a lot of work, but I was happy except... that there always seemed to be somebody who was verbally abusive about something. And there was another big issue. The boss had divorced his wife to marry one of his subordinates. They "claimed" that this did not affect their work relationship, but the truth was that she ruled the place. If she had a fuss about somebody, it was believed 100% no matter how crazy it was or if it was detrimental to the people we served. Because of the fear, the culture of the facility deteriorated. Not only was bullying protected (because he couldn't call out anyone who did the same things as his wife) but it was rewarded. The real beginning of the end for me came when I asked for more staff and one of my co-workers forced a claim on the position I was asking for. I did get the position, but to make it fair (Huh!) I then had to hire the person she wanted into my department. This was someone I knew and had learned to trust (She came from sales. What a mistake!) so I thought it would be alright. Little did I know that those two were "best friends" and there was a plan. Everything was fine until the end of this individual's probationary period. Then the isolation and the picking, the passive-aggressive behaviors began. I didn't realize until later, that whenever I was out, they would hold gripe sessions against me to get everyone else mad at me. Even my supervisor manipulated me. The funny thing was that I thought the problems were being caused by one of my other staff -- a very narcissisitic sort of person, but previously very harmless. I didn't realize it was my newest employee (who has the same degree as I do by the way). Her goal was to convince everyone else how awful I was, while she would be seen as the nice one who everyone could get along with. She was setting me up as a bad guy (her projection) while she positioned herself to take my job and my 12 years of work and development for herself. I have a journal from that time. There's an entry about how I was holding my weekly staff meeting one day and wondering who this person would show up as... By this time, I was on to the game. Here's the way she played it: First, she would do something that made a problem for me. This was a passive way of picking a fight because I would have to respond to it. Then she would have a temper tantrum and act in a completely irrational way. Then, she would go to my superiors and act innocent about the "horrible things" I had done to her and the other staff. Because she had gotten the bosses wife on her side, no one would question what she said. Back to the staff meeting. This employee had 3 outward personalities. It was Dr. Jekyll and Mr. Hyde. In this case, there were two Hydes. She would show up at meetings as one or the other. Hyde #1 was a "sullen teenager." She would sit off from the group and not participate, staring at the floor. If asked her thoughts, she'd just say "That's fine" in a whiny voice. Other meetings she would show up as an "angry 5-year-old", sitting right up front with the other staff with her arms folded across her chest and this smirky grin on her face. Anytime I would ask for the feedback of the group she would call out "no" as sharply as she could to shut off all communication. (I have a 5-year-old granddaughter by the way and I can tell you that there is a 6-month period where kids do this EXACT behavior.) How bizzare to see this in a 40-year-old woman! So, on this particular day I thought, who will she show up as? And, how can anyone in their right mind behave like this and have any self-respect? It was then that I realized that I was dealing with someone with no conscience. Just like Dr. Jekyll to Mr. Hyde. Despite the fact that they were manifestations of the same person, Jekyll used Hyde to do his dirty work but then took no responsibility for him. My God, what do you do as a manager in a situation like that? Well, I decided my only option was to report it to the higher ups, which I did with plenty of documentation. When I showed it to the administrator and asked for his assistance, he said that he would have to talk to this other employee. Well, apparently she had a laundry list of complaints about me...none of it substantiated. In fact, the list really wasn't even complaints, but vindictive judgments and projections. Well, when it came time for me to meet with the administrator again, he said that he was taking this employee away from me. With an "I gotcha" smile on his face, he listed her judgments against me and stated that they had to be facts because there had been "complaints" about my management style the entire time I had worked there! (Wow! Thanks for telling me a little late.) Of course, none of this was about me. It was about his wife who wanted me to be replaced by "Dr. Jekyll", who was more "popular". It had nothing to do with work or the well-being of the people we cared for. It was about his wife. Well, of course, then everyone knew that I had had an employee taken out of my department for my supposed "incompetence" as a manager. (But I knew who the REAL incompetent manager was.) Then, everyone wanted to take a chunk out of me. The authority and the respect I had garnered over the years was suddenly up for grabs to whoever could be the meanest or could get others to believe that my work should be dismantled. Fortunately, I had had the foresight to start looking for a new position several months before. After a particularly bad interaction with my narcissitic subordinate who cried and cried because I didn't make her needs #1 and didn't treat her like she was more special than everyone else (another person in her 40's, by the way), I looked up at the sky and said, "God, get me out of here, these people are insane." Two hours later I got the offer for the position I wanted! When I left, only a couple of people said good-bye, but, you know what? I didn't care. Who wants to be someplace where people are insane? But the story doesn't end here. Several months into my new job, I had an experience with post-traumatic stress. Fortunately, I recognized what it was and was able to get past it with help from the right professionals. 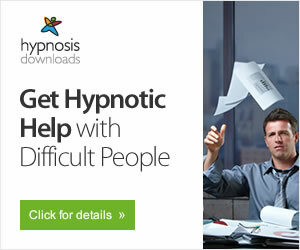 Hypnotherapy was particularly helpful. I also was led to start reading the literature about workplace bullying. I had no idea that my experience was so common. Words like mobbing and serial bullying really hit me between the eyes. It was such a relief. I also started meeting people who had worked with my "three-headed snake" in other jobs. No one had had such a bad experience, but the stories about childish behavior were the same. One guy even called her a "bizarre freak". Boy, I had been so fooled. So, now its almost 2 years later. I'm realizing that I have many opportunties at my new job to build something else new and exciting. And I work in a healthy environment. Its not that there aren't bullies. The difference is that when they show up, it is stopped right away. If the bully is then not happy, they are not fired, but offered an undesirable transfer. That usually shapes them up or they ship out. I'll admit that I'm not done with resentment, but I did have an experience earlier in the week where I realized that I was not mad at the snake, but at my supervisor. After 12 years, she completely betrayed me. I reported to her on numerous occasions that I was being assaulted. She not only did nothing, but manipulated me into believing that she liked me and that she valued me as a friend. Then, when the big boss came down on me, she took no responsibility, despite the fact that I had carefully gotten her feedback on all my managerial decisions. I didn't really have any choice because she had taken away my ability to "write staff up", the only tool we had for disciplining staff. And guess why? She was afraid of being fired because the boss's wife liked my subordinate better than she liked me -- for more irrational reasons, I might add. Yeah, I did know I was being fed to the wolf, but had really stopped caring by that point. So, tomorrow I am going to a session on "radical forgiveness". My goal is to be able to see this situation through the eyes of love. And why not? I do know that I am better off. And that's the truth. Thanks for listening. You certainly have been "through the mill." I believe you are right in feeling your situation was "insane." The longer I live, the more I realize that we do have a lot of insanity in this world because of what we eat, how we abuse our bodies and minds,the electronic world feeding us toxic subjects, and those who we associate with (not a lot of choice, sometimes.) It took me a long time in life to learn that the insanity raging around me was causing the problem, not something I "did wrong." It also took a minister to help me see that I did not have to race around begging "forgiveness" from these bullying people (and there seem to be many bullies today, everywhere) but rather, accept myself, sidestep them, and "let it go." It is impossible to forgive people who do not ASK to be forgiven. Most people do not have the emotional ability to see their wrong doing so it is impossible to MAKE or force a forgiveness. (And let's be realistic--there are a lot of really sad, ignorant, dumbed-down people out there) I have seen too many times where a victim thinks they have to do the forgiving, so they grovel, begging the bully to forgive them for crying, being upset, showing anger, feeling pain. All you are doing is coddling and enabling the bully to continue on their path of destruction, knowing they can walk right over you and you will always come groveling back. Stand tall, cling to Hope, and tell them to "stick it", walk away and find some intelligent people to associate with. A therapist once told me that only 5% of the people are "the creme"--the people who enrich our lives and have something to contribute to make the world a better place. (In those days they didn't yet use the words "bullies") He said, "You are the creme--don't try to mix with those who are not as they will destroy you." Those words saved me from suicide as I could see that the 95% I was wasting my life on trying to "love" them and "forgive" them, would never change and indeed, were destroying me. It is hard to find that tiny 5% of the creme but keep on looking--they are out there, and they are the most beautiful people in this world! There aren't many but I cherish each and every one, and work to keep the relationships alive. Sometimes I must work with the 95% but I put a very tight emotional, but polite, distance between us, and I don't linger. Nature is causing my body to self-destruct over time--I certainly don't need them to hasten the process! 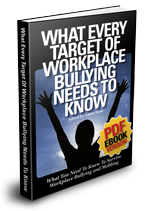 Yes, I have been dealing with a bully at work for about 3 years now. At first I too thought I had done something or said something to cause the problem, but soon realized this person was after my job and was out to destroy me and take my years of developing a program away from me. Like you, I have other workers who are part of the problem including my boss. Management is somewhat corrupt and creates an environment of deception and manipulation. This past week there were some errie events that gave me some extra stress and yes I dreamt of a 3-headed snake last night. I wondered what it meant and did a search on the Internet that led me to your story on this site. Information I have read from the Internet and a strong belief in God and myself has helped plenty. I am trying to beat it, but I may have to do as you did and find another job. Jobs are scarce these days but keeping your sanity has to take priority.